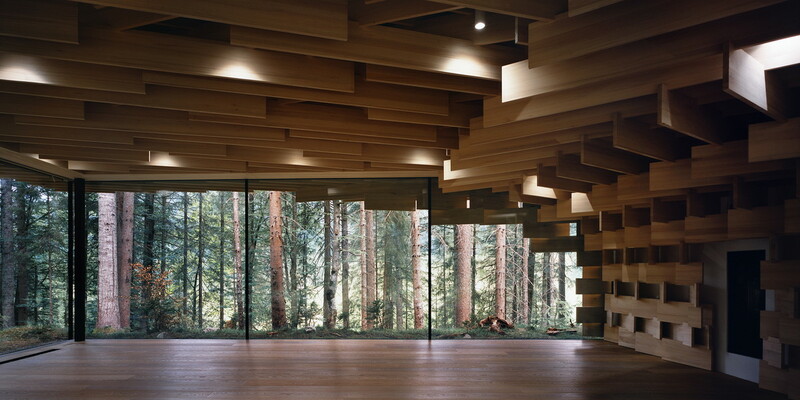 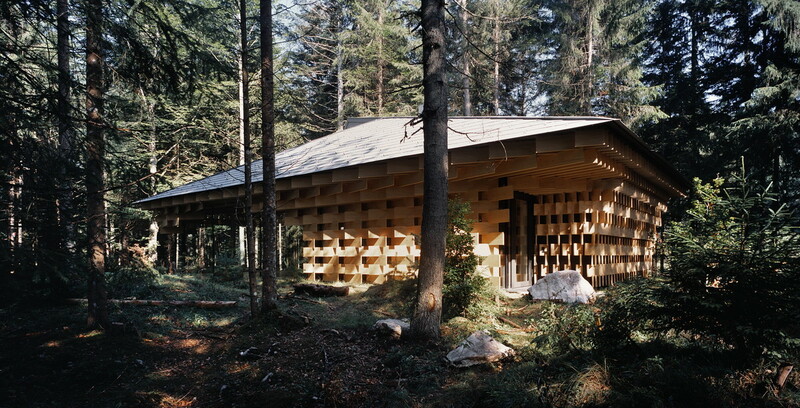 We designed a facility for meditation in a forest on the outskirts of Munich, not too far from Ludwig II’s Neuschwanstein castle. 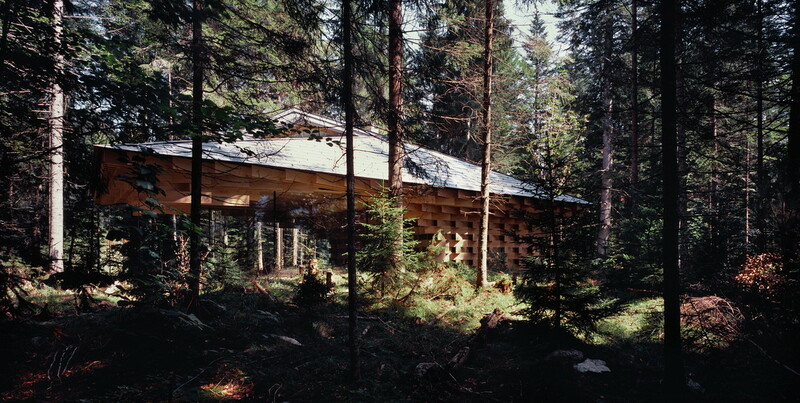 Das Kranzbach is known worldwide as a mecca for spa goers and here in this cabin the hotel guests can practice yoga and meditation. 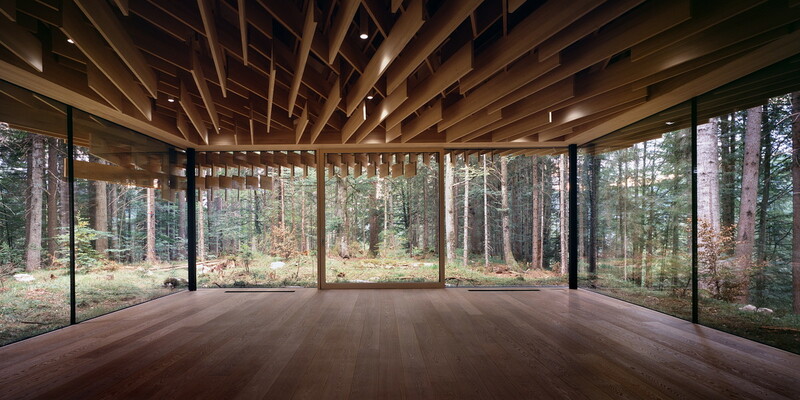 We selected fir trees grown near the site and milled them to a width of 30mm, piling them up like twigs, in order to produce a transitional scale between the large forest and small architecture. 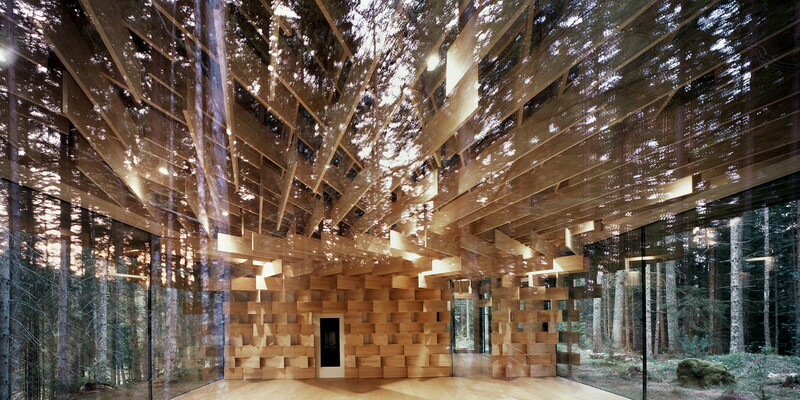 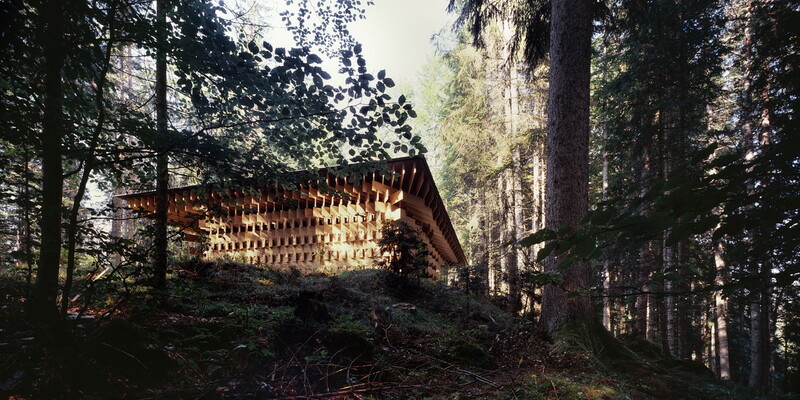 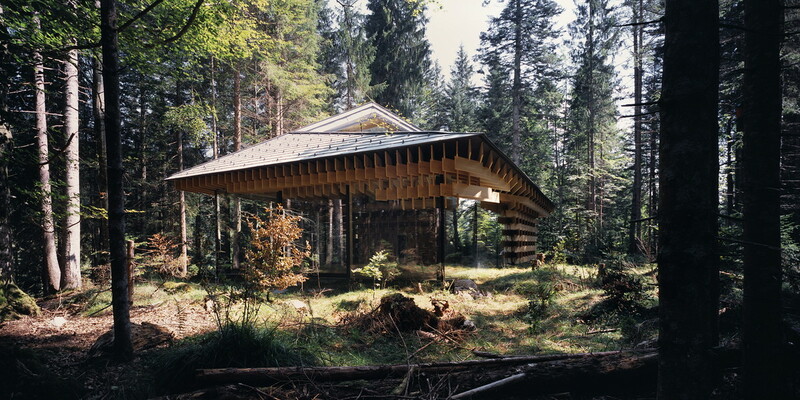 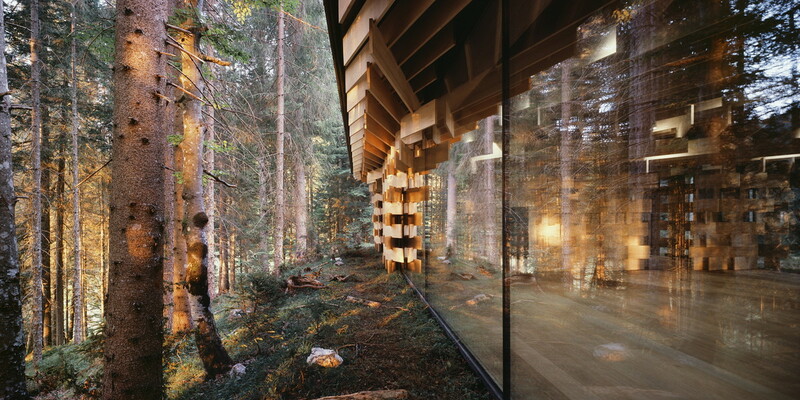 This is also a medium through which humans can be integrated into the forest. 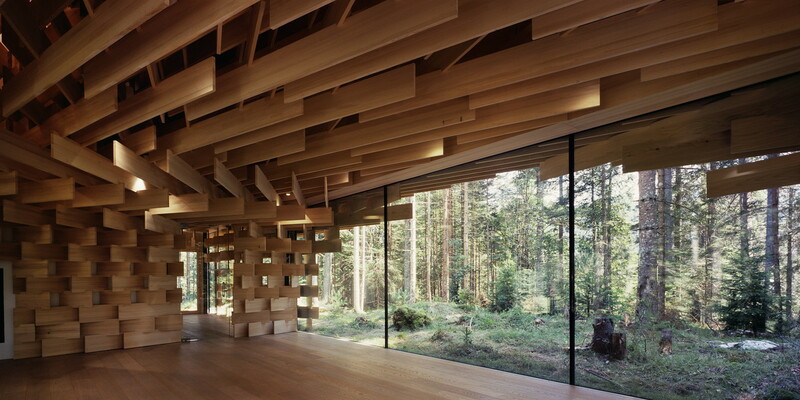 The little twigs disperse the light filtering through the skylight, repeating the effect of komorebi or ‘rays of light’ often experienced in the forest.